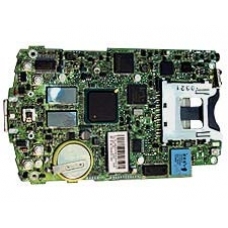 This is a complete replacement HP iPAQ 64MB mainboard with CF and SD slots and the Bluetooth module. If your iPAQ mainboard has failed this is the correct drop in replacement part. Suitable for the whole HP iPAQ 2200 range including the 2210 and 2215. * Processor Intel XScale (PXA255) 400 MHz. * 64MB SDRAM, 32MB NAND Flash ROM. * CF Slot: Compact Flash Type I and II. * Operating System Microsoft Windows Pocket PC 2003. This service involves the complete replacement of the mainboard for the 2200 series iPAQ PDA. If your mainboard is show..